Thanksgiving week is here, and this week’s blog is dedicated helping you cook the most wonderful turkey ever! Read on for everything you need to know to make a great holiday turkey! You can also find more specific information on ingredients on our Turkey Tips Page. Good planning is essential, so pull out your recipes and start a shopping list, my Essential Holiday Pantry List can help you not to forget anything. Here are the elements I feel are most important in roasting a great turkey, as well as recipes and videos to help you through. chemically flavored solution (raising their weight by about 20%) and then frozen. Fresh, natural turkeys brined at home are strongly suggested! Meat Thermometer: Essential! Cooking times are just an estimate, there are too many variables to rely on times alone. A reliable meat thermometer is a wise investment. I prefer the digital models we offer at Tony’s, they are inexpensive but have proven reliable for many years of use. 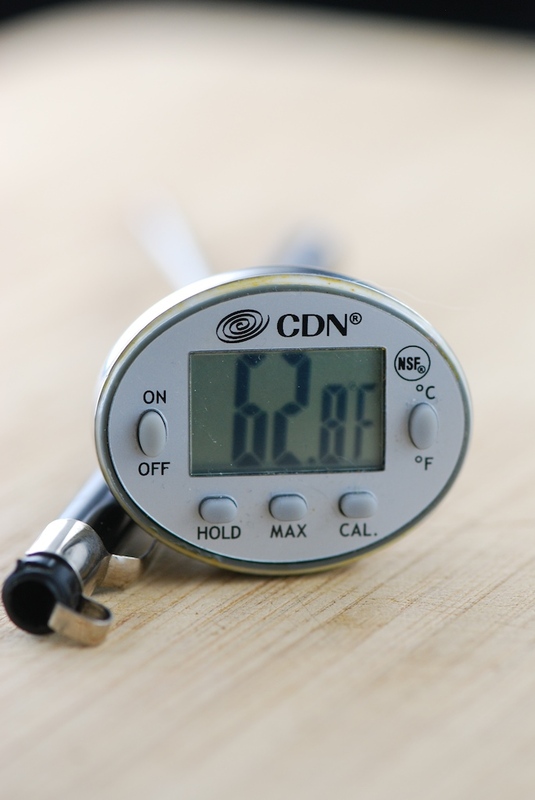 More on Meat Thermometers here. Seasoning: Recommended. 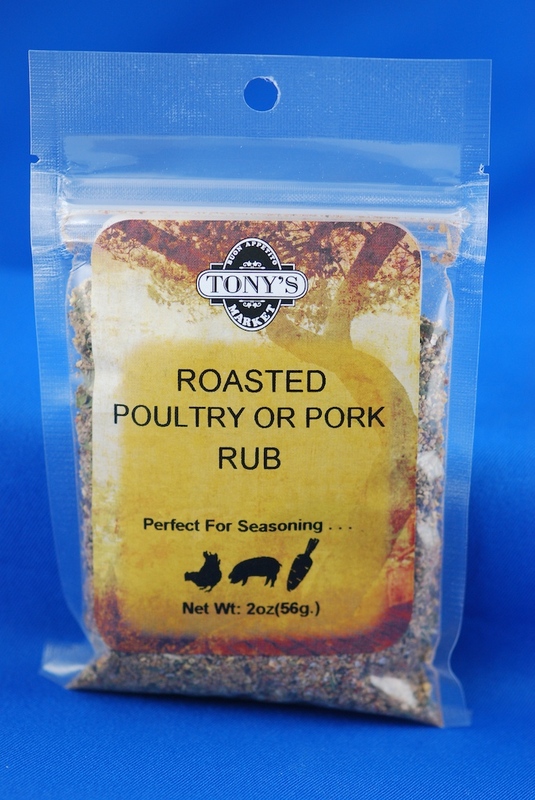 Our Roasted Poultry or Pork Rub is the ultimate turkey seasoning, or you can use salt and pepper or your favorite seasoning blend. Use the link in the title above for a printable PDF of my roast turkey and gravy recipe. I suggest brining, cooking dressing on the side and inverted roasting. The videos below will take you through these steps. Great gravy starts with great pan drippings and a great stock. The recipes above discuss the pan drippings, and here is a recipe for homemade stock. If buying stock, look for natural ingredients and the lowest sodium levels possible – or your gravy will be salty. 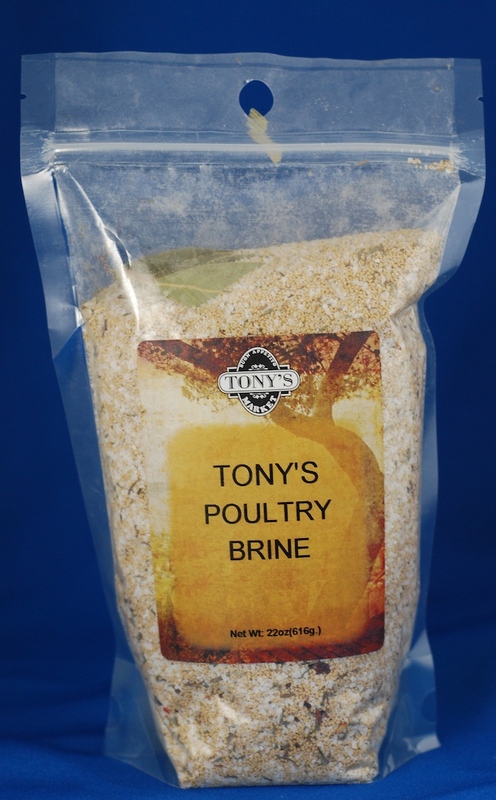 We make Homemade Stock at Tony’s, get it while it lasts! The best concentrated stock on the market comes from More Than Gourmet and is available in our markets. 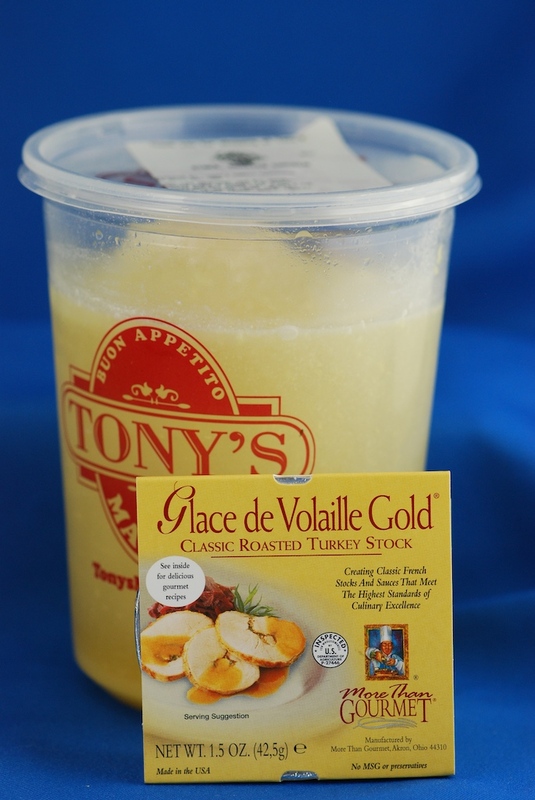 Tony’s Homemade Turkey Gravy: A great warm and serve option – pick up an extra quart or two to extend your gravy or for Turkey Pot Pie with your leftovers. Stuffing: Not Recommended. Your holiday turkey will cook more evenly unstuffed, the added mass leads to uneven cooking and overcooked breast meat. Dressing can be cooked in a pan on the side, dotted with butter and splashed with stock for that ‘cooked in the bird’ flavor. If you do choose to stuff, use hot dressing immediately before roasting for the best results. We’ve got a variety of homemade dressings at Tony’s. Inverted Roasting: Highly recommended! The thigh and hips of the bird take much longer to cook more than the breast, and the bottom of the bird naturally cooks more slowly than the top. Cooking inverted for the first 2/3 of the cooking time solves these problems. Turn the bird breast side up near the end of cooking to finish and brown the breast. Roasting Bags: It’s up to you. Roasting bags speed roasting and produce a tasty and tender bird with a braised texture. It’s not the method I use, but it’s a proven technique and many folks swear by them. Spatchcock: Recommended if you are in a hurry, or grilling. Our butchers can Spatchcock (butterfly), allowing you to cook in roughly 1-1.5 hours. Preorder or come in the day before Thanksgiving and we’ll Spatchcock your turkey at no extra charge, any earlier than Wednesday pickup can compromise freshness! Quick Spatchcock Turkey Recipe. Turkey Breasts: A great alternative for smaller groups, especially if they prefer white meat! We’ve also got legs, backs and giblets for roasting, grilling, stock or dressing. Spatchcock (AKA butterflied) turkeys cook fast! aren’t necessarily a good match. I’ve found the best matches to be Riesling or Gewurtztraminer (white wines with a little sweetness and plenty of acidity). When it comes to red wines, look for softer reds that are fruit-driven and low in tannins, such as softer Pinot Noir, Rose or red Zinfandel. A suggestion – get a variety of wines and open several at the table – turning your event into a wine tasting! Comparing wines with different dishes in the meal can make for fabulous table conversation! Relax, you’re gonna do just fine!